I’m sure people have seen the remarkable photos taken of planet Pluto as the satellite New Horizons zoomed past last month. 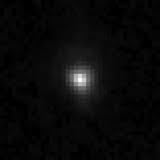 Before the flyby, the best image of Pluto was just a few pixels. If you haven’t seen the newest photos, Google for them and be amazed. Isn’t science and technology wonderful with what can be done when money isn’t spent on defence budgets? NASA is now sending the New Horizons spacecraft toward its next potential target, a planetoid within the Kuiper Belt that lies a billion miles beyond Pluto’s orbit and it will take over three years to get there. In the meantime, little me has become inspired. In my backyard I have been focusing my attention on a very unknown small astroid circling somewhere in the vicinity of Pluto. Nobody has paid it much attention. Until now. 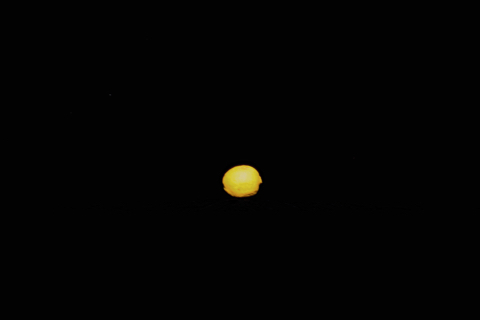 For several days last week, hard as I tried to focus, my little Kodak box camera wasn’t very good at getting a real detailed image of this planetoid,. Sort of like the early image of Pluto. So I upgraded to a Nikon Superstar with “imaginative imaging”. Boy, am I happy I made the switch. Just look at this photo I took yesterday in early afternoon as the camera pointed up into the heavens towards my very own special astroid. And what is that mysterious circular grey patch with wiggly ridges possibly thousands of feet tall. What made them? Signs of life? And before NASA takes credit for this image now that I’ve publicly released it, I am going to claim naming rights. 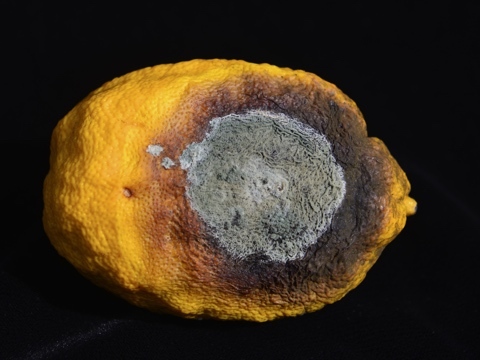 From henceforth, this planetoid’s nomenclature will be: Lemonoid within the Compost Belt.